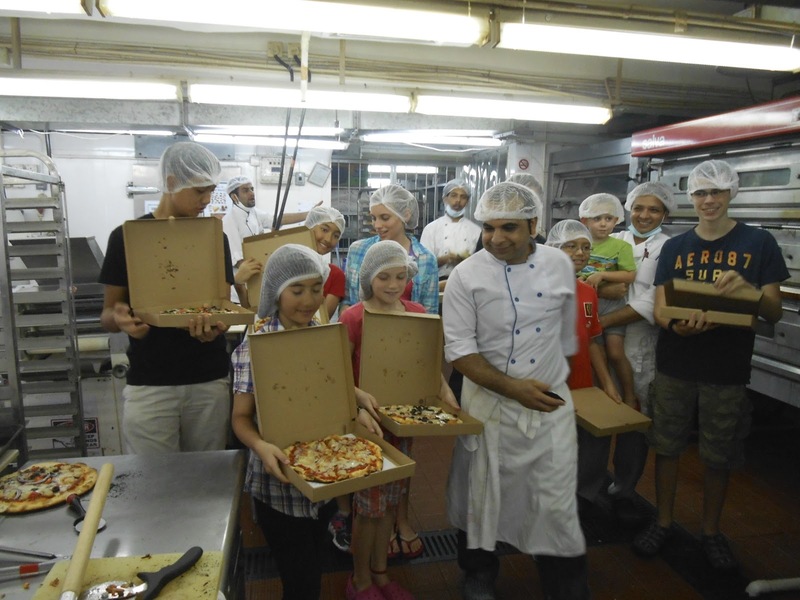 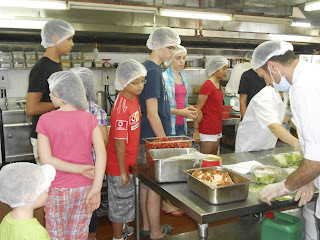 Today we had a tour with the homeschool group of Habibi's kitchen. We saw how they prepared the food for all the different restaurants each day. 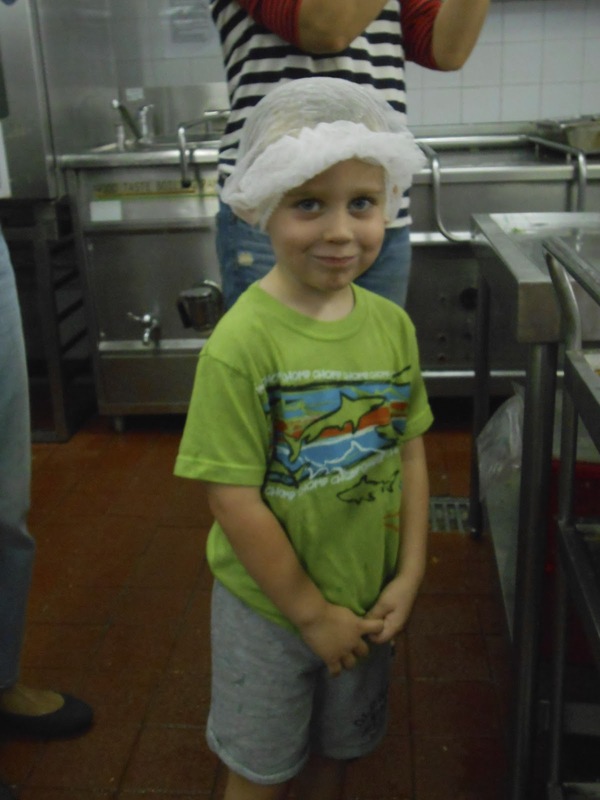 Jason looks charming in his hair net! 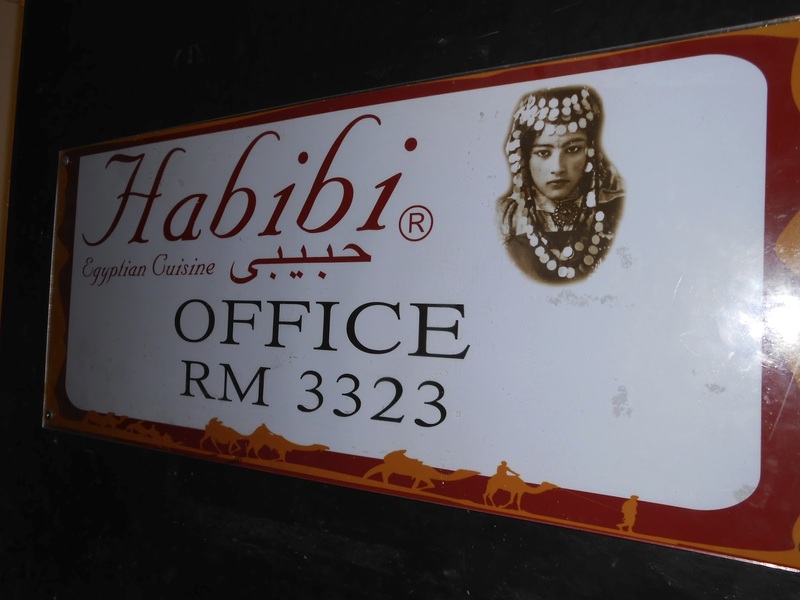 One of the refrigerators they put the prepared food into before it is sent to each of the restaurants. 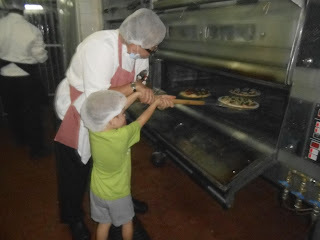 My favorite part was the bakery! 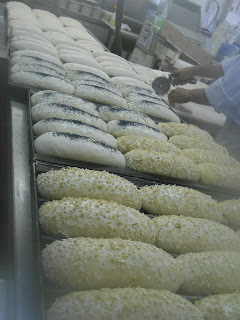 Just look at the many freshly made loaves ready to go into the oven! 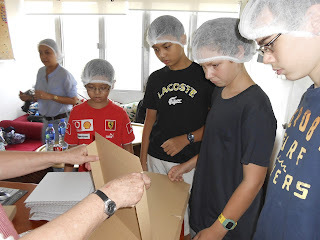 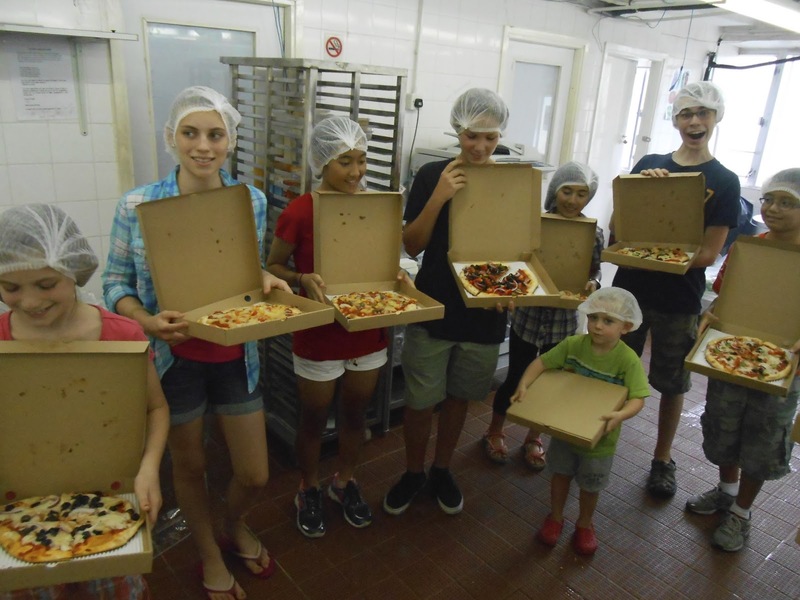 Here the boys put together boxes for the pizzas made by the kids. 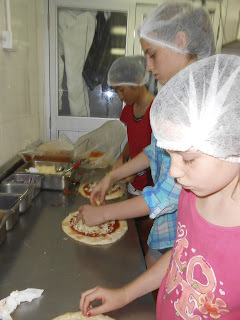 All the kids made their own pizza and they were so yummy! 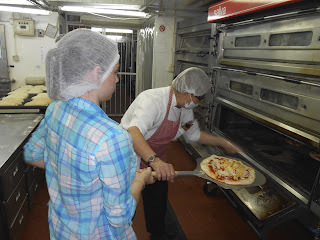 Here Alexis is being guided to put the pizza in the oven on the paddle. 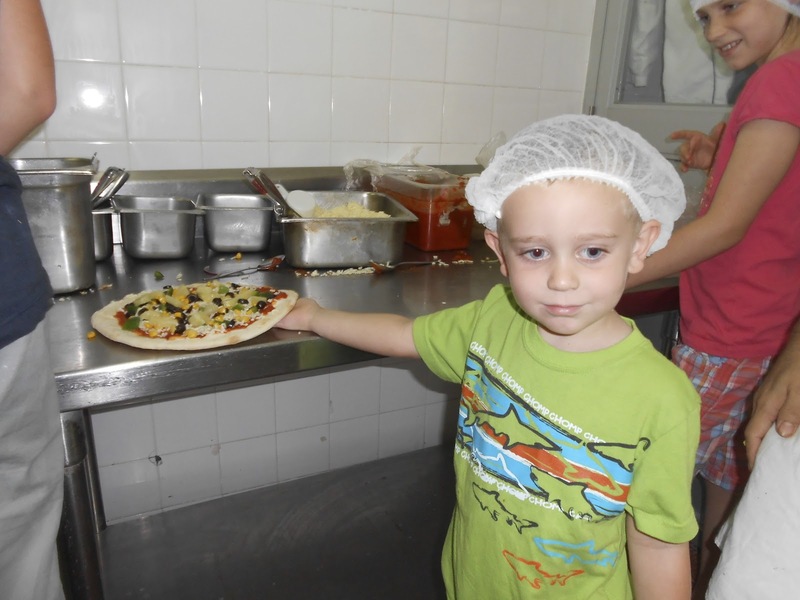 Jason proudly displays his masterpiece! Even Jp got to put his own in the oven! Photo Op with the master chef! 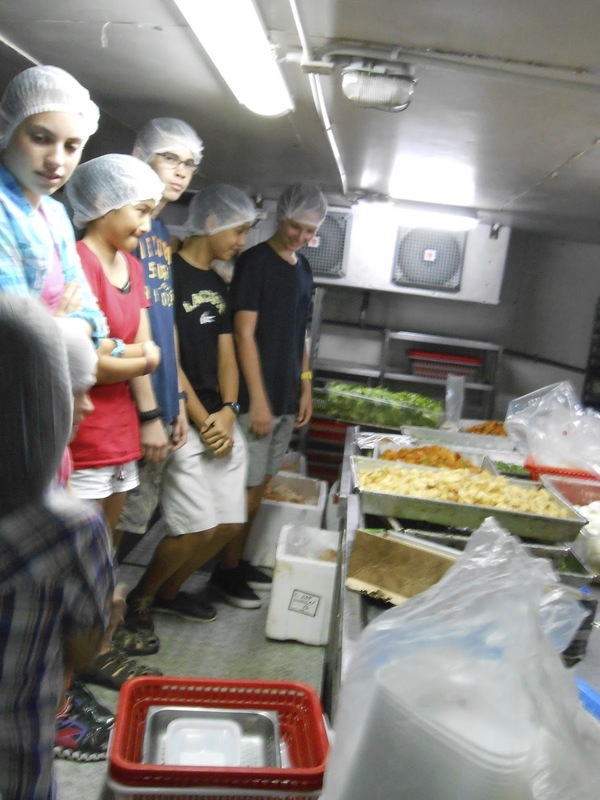 A big thank-you to Pia's neighbor's and we headed to the park and ate the fruit of the kids labor--lunch!